Ohhhh you are all going to have me committed when I show you this but..... I made fiber optics nail art! I've never seen anyone do this before, just another one of those crazy ideas I tend to have. Oh and hey, this doesn't just have lights, they move too! Come check out the video tutorial! NO electricity is needed for this design! 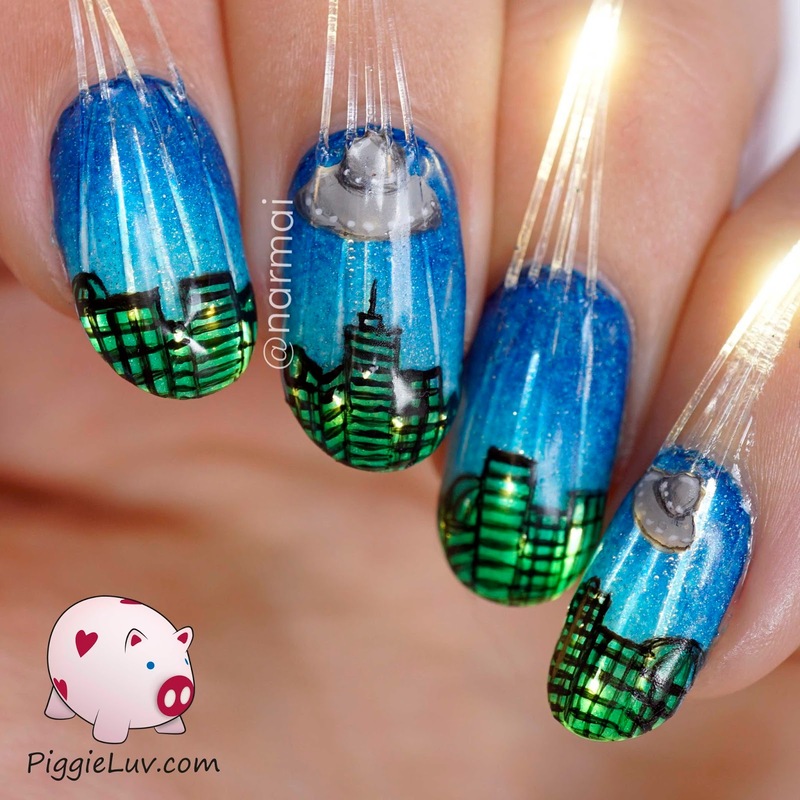 I simply attached the fiber optic wires to my nails, and shone a light on the other end of the wires to make my nails light up! Hahaha I can't tell you how much I LOVE the fact that the bottle even says that it's 'totally out there'! Perfect match! 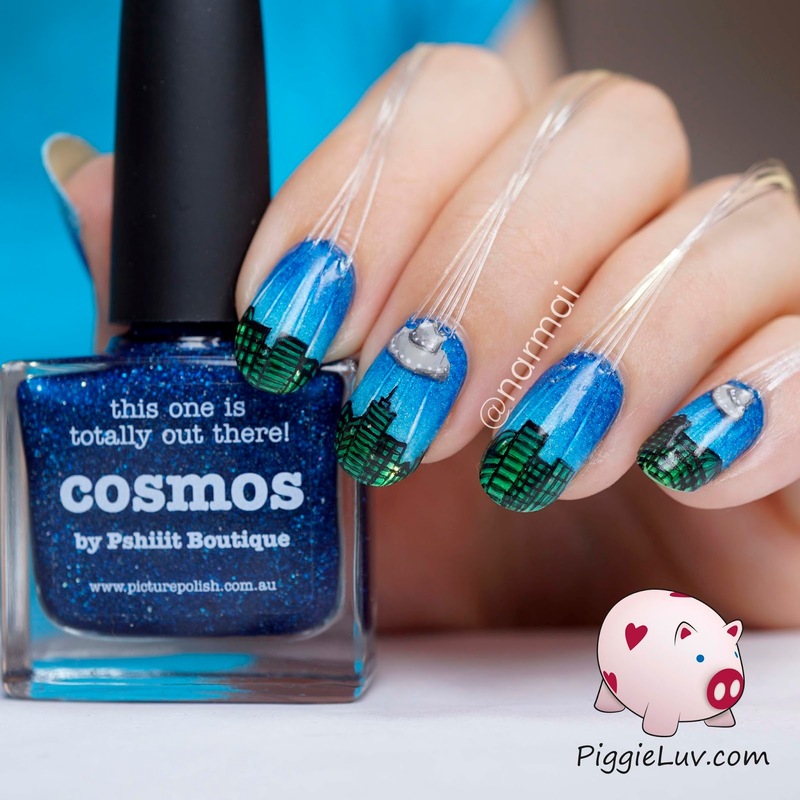 So yeah the base colors are Picture Polish Cosmos and Ocean, and the green in the buildings is Dance Legend Levitan. 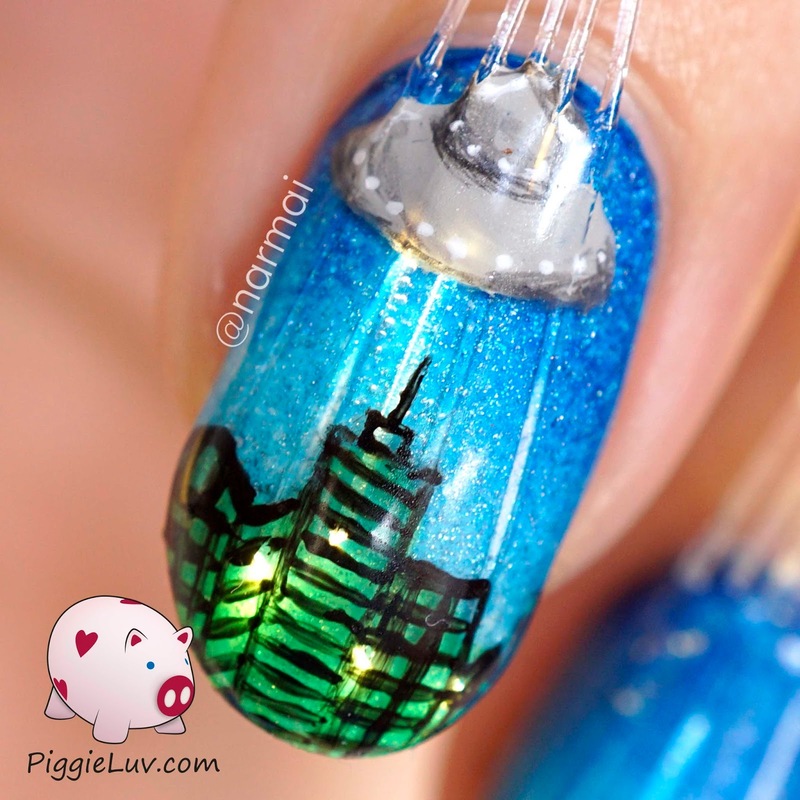 The rest (black lines & UFO's) is made with acrylic paint. It's a whole process to make this design but you can see it being made in the video tutorial, so enjoy and please don't shoot me for my crazy ideas!